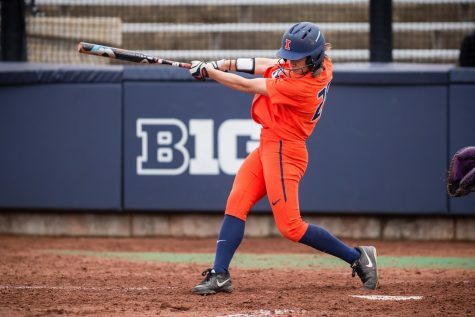 Annie Fleming has been one of the most reliable for the Illini batting .433. Fleming and Nicole Evans have combined for four of the team’s seven home runs. 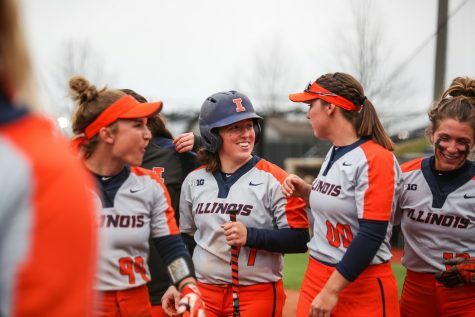 Illinois head softball coach Tyra Perry and her team will look to end a two-game losing streak this weekend at the I-75 Challenge in Atlanta, starting Friday. 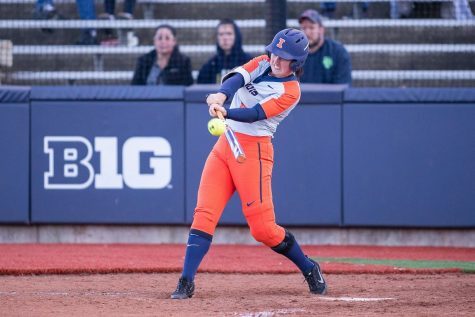 The Illini were in Cathedral City, California, last weekend, playing only three of five scheduled games due to rain cancellations. Illinois was not clicking offensively. 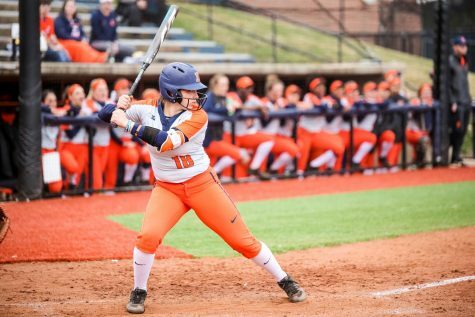 After winning their opener against Saint Mary’s 5-1, the Illini only mustered one run in their next two games. 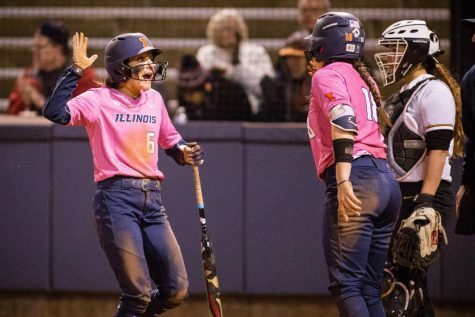 Through eight games, junior Annie Fleming and senior Nicole Evans are proving to be Illinois’s most reliable batters, with Fleming batting .433 and Evans .500. The two combined have 16 of the teams 40 RBIs and four of its seven home runs. 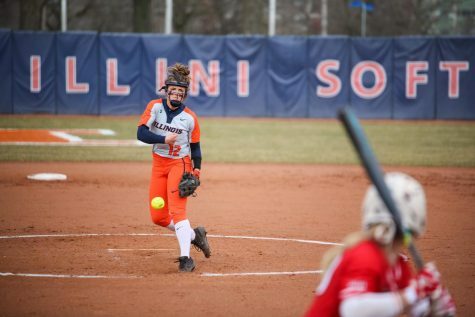 On the mound, sophomore pitcher Taylor Edwards has emerged as the Illini’s top pitcher early on. Edwards currently holds a 3-0 record with a 1.26 ERA while holding opposing batters to a .267 batting average. Senior pitcher Breanna Wonderly has had a rough start to her season. Through her first four starts, she has a 1-3 record with a 4.52 ERA. Wonderly’s three losses have all come to ranked opponents, and she is keeping opposing batters to a .282 batting average. 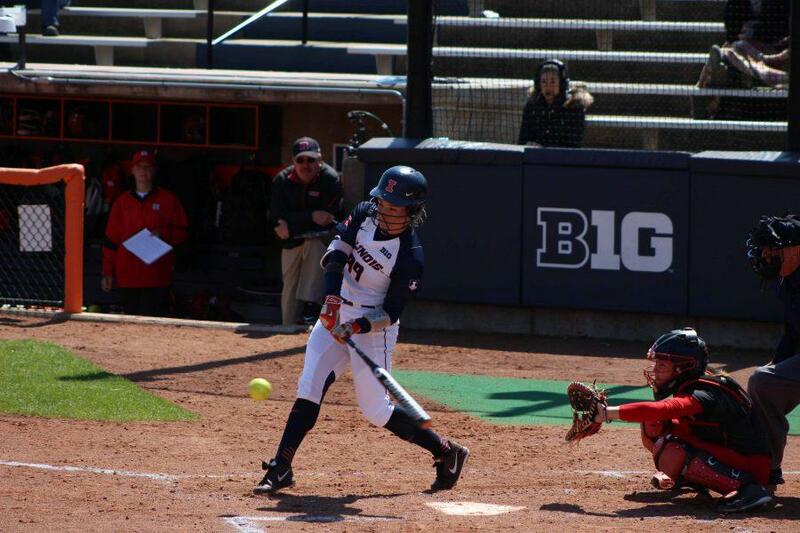 The Illini are going to be looking to get more out of the bottom half of their lineup this weekend. Seniors Alyssa Gunther and Ruby Rivera are batting .250 and .217, respectively. However, Illinois’ competition this weekend does not compare to the teams it played a week ago. 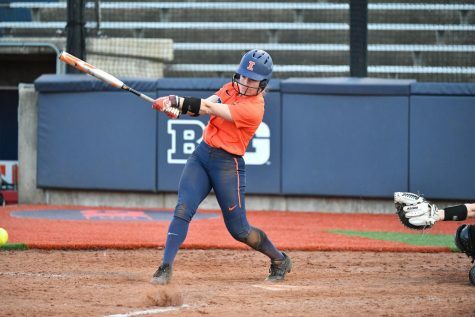 Two out of the three teams the Illini played were ranked in the NCAA top-25, while two out of the three of the teams the Illini are to face this weekend haven’t received an RPI vote. 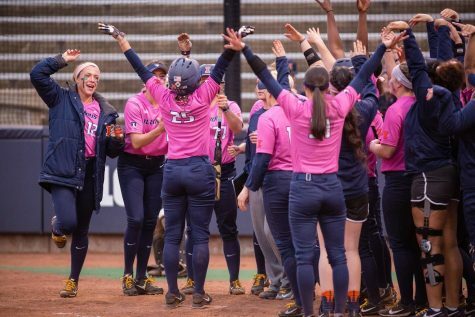 Illinois will compete in a total of five games this weekend with double headers — Friday against Georgia State and Saturday at Kennesaw State — then a single game Sunday against Georgia Tech.